“We want you to please bring more volunteers, so we can have a Moms in Prayer group every day!” exclaimed one inmate mom – and the others vigorously agreed. Like most incarcerated mothers, these women in a large city prison are full of fears, worries, sadness, and guilt over their children. They deeply want the comfort, hope, and joy they experience by praying the Four Steps together in the weekly group, to be a part of their daily lives. Incarcerated mothers also typically feel helpless and hopeless. They often believe they can’t do anything to help their children, or improve their relationships with them. Over 60% have children under ten, and were their primary caregivers. Now they don’t always know where their kids are living, who is caring for them, or how they’re doing. And those mothers with adult children, especially with long prison sentences, can experience a lack of communication and outright rejection by their sons and daughters. Our volunteer teams across the country report how God works through Moms in Prayer to reach these women. Two very sad mothers recently prayed in agreement for communication from their adult sons who had refused contact for years. Neither was hopeful of change. A couple of weeks later, they couldn’t wait to share that each of them had received a wonderful letter from her son! In a short-term rehabilitation facility, one woman came reluctantly to Moms In Prayer at first, saying “it will make me too sad to pray for my children. I’ll just cry, and it won’t change anything.” Despondent and tearful, she could only whisper a request that her little child was being well cared for. The next time she was visibly transformed, saying, “Now I can smile!” because she learned a few days after the group prayer that her grandmother agreed to care for her child until she was released! Our 12 State Prison Liaisons and volunteer teams in 40 states have many testimonies about how God works through Moms In Prayer in prisons, jails, transition homes, rehabilitation centers, and similar facilities. 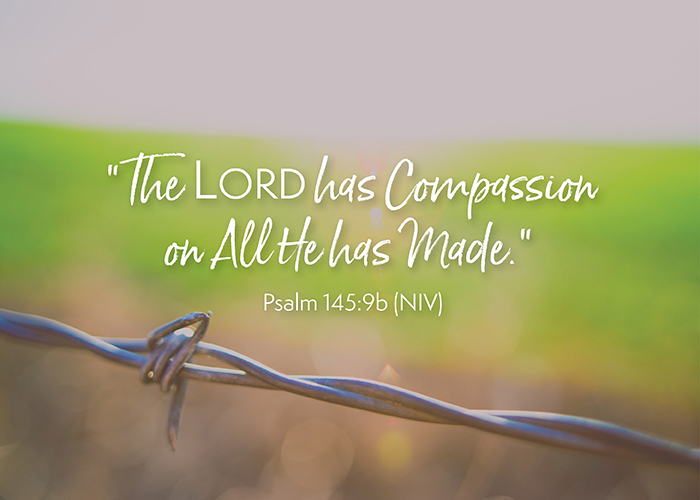 With “compassion on all He has made” (Psalm 145:9), God imparts his tender mercies and transforming love to hurting inmate mothers, and answers their prayers for their children. Tears of sorrow turn into eyes glistening with gratitude and hope, that despite being separated and incarcerated, they can still do their best for their children – pray for them! In the process, we’ve also seen how Moms in Prayer changes the hearts of these incarcerated women, connects them with other Christian mothers in their facility, gives them a new attitude and cooperative spirit as they serve their time, and helps them return to their communities and lead changed lives. Our Prison Ministry program provides materials, training and mentoring to start or join a team bringing Moms in Prayer to incarcerated mothers in your area. Or if you’re moved to pray for other volunteers and facilities in your state, we can connect you with our Prayer Partners. Nancy Turock is the Moms in Prayer USA Prison Ministry Liaison. She works with 12 dedicated State Prison Liaisons and 140 volunteers in teams across 40 states to bring Moms in Prayer to incarcerated mothers. These mothers, who feel helpless and hopeless about doing anything for their children while in prison, discover through Moms in Prayer that they can actually do the very best thing for them – pray!